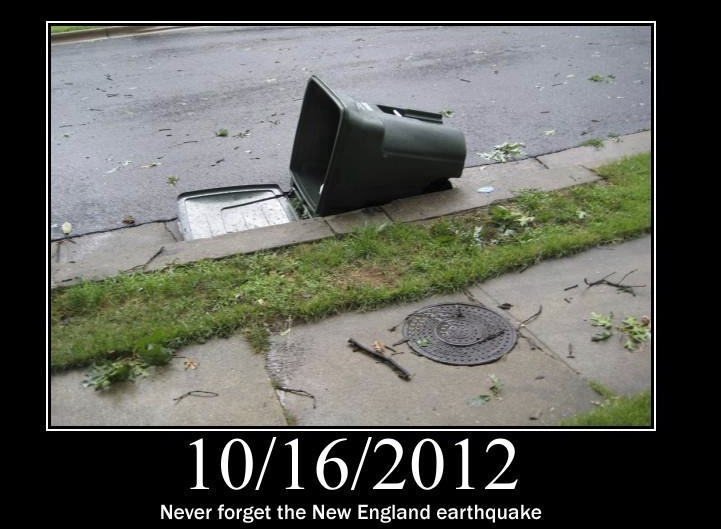 The great New England earthquake of 2012! I am really not making fun of earthquakes. This is more a post about how social networking has changed how we receive news.. Within seconds of the quake, I had at least 20 or 30 people sending updates. I read about it on the USGS website. Then someone created a page on Facebook, and had 19,000 likes before there was even a hint of it on the local news channel 45 minutes later. Social networking really has changed how we as a society receive news of important events.. Its an interesting topic.. This entry was posted in Social Media by Larry. Bookmark the permalink.